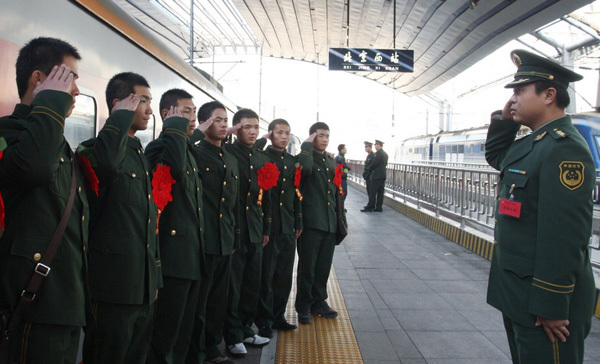 State-owned companies must employ soldiers who will seek work when the Chinese military is reduced. In September, President Xi Jinping announced the military would drop in size from 2.3 million troops to 2 million. The official People's Liberation Army Daily newspaper noted a central government agency said "resettling and receiving ex-servicemen is connected to the overall picture of military construction and social harmony and stability." The order would hurt state-owned companies. Some have reduced their workforce to be more competitive as the Chinese economy slows. Almost all of the country's oil, coal, electricity, steel and cement companies are state-owned. They have suffered heavy losses over the past two years. Geoffrey Crothall is the communications director of the China Labor Bulletin in Hong Kong. He said he believes some state-owned companies will refuse to employ the returning soldiers. He says many of them do not have enough money to hire any new workers. Experts believe the government expects some of the state-owned companies will refuse to hire the soldiers. State media report that the government has already made plans to deal with the resistance. The PLA Daily newspaper said state-owned companies should not take actions that may hurt the former soldiers. They should not limit how many of them they employ. Some of the leaders of the state-owned companies have been watched closely in recent years as China investigates and punishes corruption. This means that the leaders of the companies are not likely to refuse jobs to former soldiers. But Crothall said many state-owned companies are hiring temporary contractors rather than employees. He said many companies stopped being profitable months or years ago. They have had to ask for money from local governments so they can continue to operate. If the companies are forced to employ former soldiers, they would likely need even more financial help from the government. That would mean the government is still paying the wages of the former soldiers, even though they are no longer in the military. Ownership of the State-owned assets in a company Belongs to the state. The price of gasoline will unlikely drop to rock bottom. The former soldiers had difficulty in adjusting to ordinary life. Our failure is likely to spell heavy losses. 1.The official People's Liberation Army Daily newspaper noted a central government agency said "resettling and receiving ex-servicemen is connected to the overall picture of military construction and social harmony and stability." A tail buoy is connected to the far end of the cable. An iron is connected to an electric source that has a potential of 110v. 2.He said many companies stopped being profitable months or years ago. They have had to ask for money from local governments so they can continue to operate. He had the audacity to ask for an increase in salary. May I ask for a wake-up call tomorrow morning?